The wait is over. 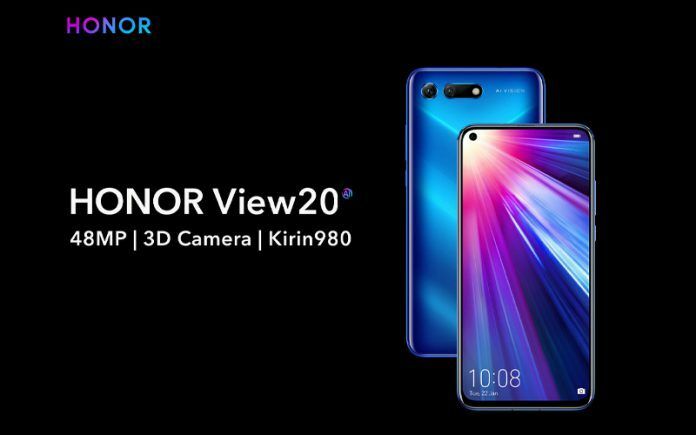 Honor has finally launched the much-awaited View20 smartphone in India. The device comes in two variants. The base variant has 6GB RAM + 128GB storage and it is priced at INR 37,999. The other variant has 8GB RAM + 256GB storage, and it is priced at INR 45,999. The brand is also offering Honor AM61 Sport Bluetooth Earphones worth INR 2,999 for free with the device. The Honor View20 will be available to purchase online starting tomorrow 12 AM exclusively on Amazon India and HiHonor Store. The device will also be available at Reliance Digital offline stores. 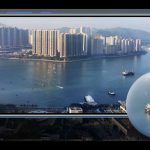 Let have a look at what the Honor View20 has to offer. The Honor View20 packs a ton of features. However, the most interesting ones have to be its punch-hole display, a 48MP rear camera, and the Kirin 980 SoC. So let’s talk about them first. The Honor View20 is among the very few devices in the world to feature a punch-hole display, and it is the first smartphone in India to come with one. The punch-hole has a camera inside it, which eliminates the need for a notch on the screen. In my opinion, the punch-hole looks a lot better and creates much less obstruction than the notch. The screen itself is a 6.4-inch IPS LCD with Full HD+ resolution. The Honor View20 is the first smartphone in the world to feature a 48MP rear camera. There is also a 3D TOF camera alongside the 48MP camera, which we will talk about later. By default, the 48MP camera combines four pixels into one to produce a 12MP final image. According to Honor combining four pixels into one produces a more detailed image than the 48MP image itself. Users can also capture 48MP images by changing the setting. Coming to the 3D TOF camera, it tracks the distance between the device and the objects it is pointing towards, creating a 3D map of the surrounding. The info from the 3D TOF camera is then used to enhance portrait images. The rear camera setup can record 4K videos at 30 frames per second. Unfortunately, the camera can not record 4K videos at 60 frames per second. There is however a slow-motion mode that can do 960 frames per second at HD resolution. Coming to the front-facing camera, it is a 25MP sensor that resides inside the punch-hole on the display. The Honor View20 packs the Kirin 980 SoC, which has four high-performance Cortex-A76 cores, four power-efficient Cortex-A55 cores, and Mali-G76MP10 GPU. The Kirin 980 is currently one of the most powerful smartphone chipsets on the planet. It also manages to beat the Snapdragon 845 and the Exynos 9810 in some performance benchmark tests. According to the review from Anandtech, the Honor View20 has an excellent sustained performance. Now, sustained performance is one important factor when it comes to gaming that most people overlook. There is no doubt, the Honor View20 is one the best-performing smartphones out there. Coming to the software, the device ships with Android 9 Pie operating system. There is Magic UI 2 on top, which is an all-new UI customization from Honor and Huawei. The Magic UI 2 has a revamped design as compared to earlier EMUI 10. The Magic UI 2 adds a host of useful features to the operating system. As for the connectivity, the device has a few interesting features there too. 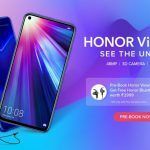 It offers a dual-frequency GPS, which Honor claims to offer a more precise location tracking than most other smartphones with single-frequency GPS out there. The Honor View20 also retains the 3.5mm audio jack unlike most other smartphones in the price range. Other connectivity options include dual-SIM, dual-4G, dual-VoLTE, dual-band Wi-Fi ac/b/g/n, Bluetooth v5.0, and a USB Type-C port. There is a 4000mAh battery inside the HonorView 20. The device also supports 22.5W fast charging. The Honor View20 offers a glass back with a unique design pattern that changes colors based on the angle you look at it form. Although looks are subjective, I think most people would agree that Honor View20 looks amazing. Should You Buy Honor View20? In my opinion, the Honor View20 has a great value for money. Price-wise, the Honor View20 competes directly with the OnePlus 6T. So far, the OnePlus 6T was the segment-leader. There was no other smartphone that offered as many features as the OnePlus 6T did. 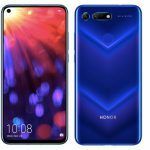 However, that changes with the launch of the Honor View20. The OnePlus 6T now has a serious competitor. The Honor View 20 offers as many or in some aspects even more features than the OnePlus 6T. All things considered, the Honor View20 looks like a great smartphone to me, and a one that has the potential to overthrow the OnePlus 6T as the segment leader.